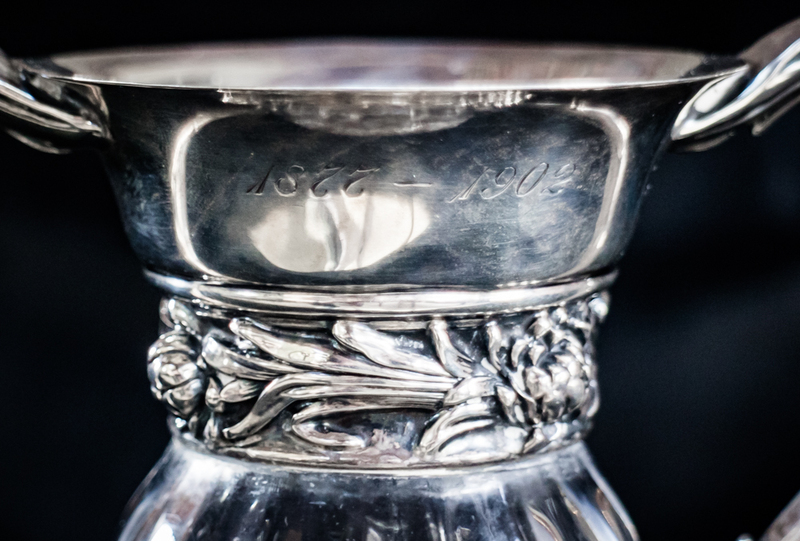 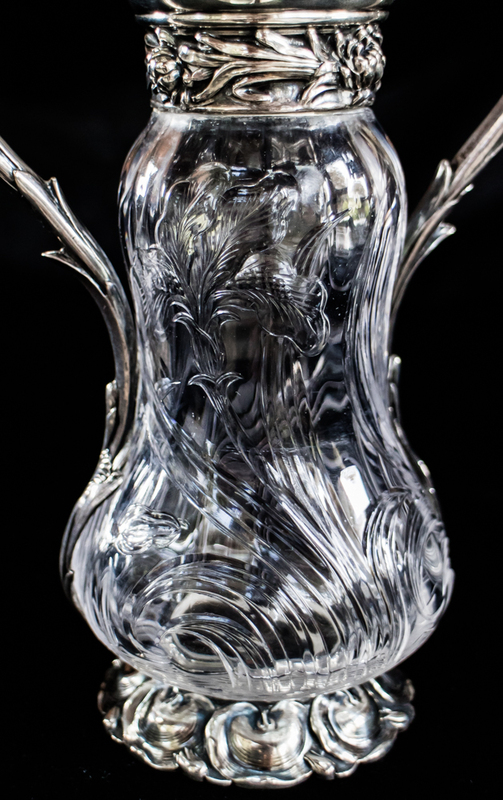 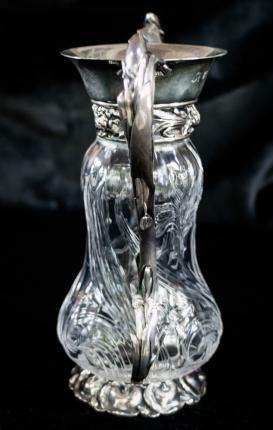 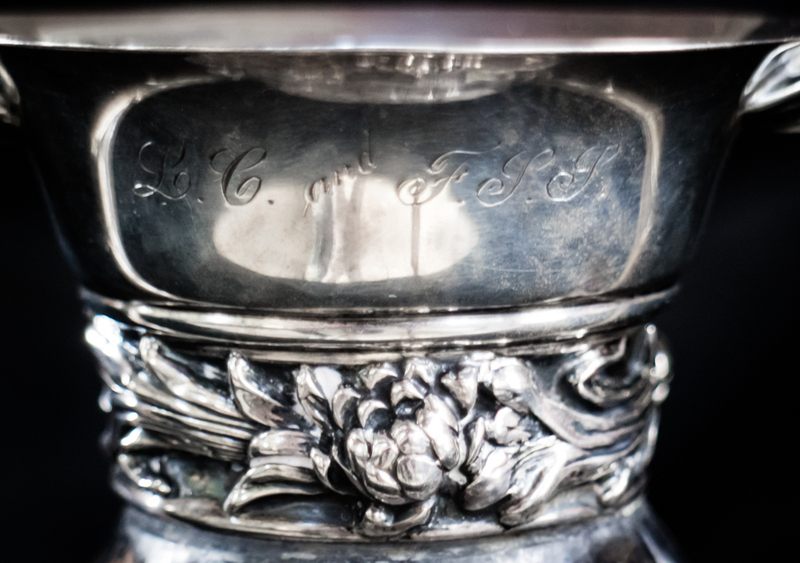 The vase has deeply polished, gravic Iris engraving. 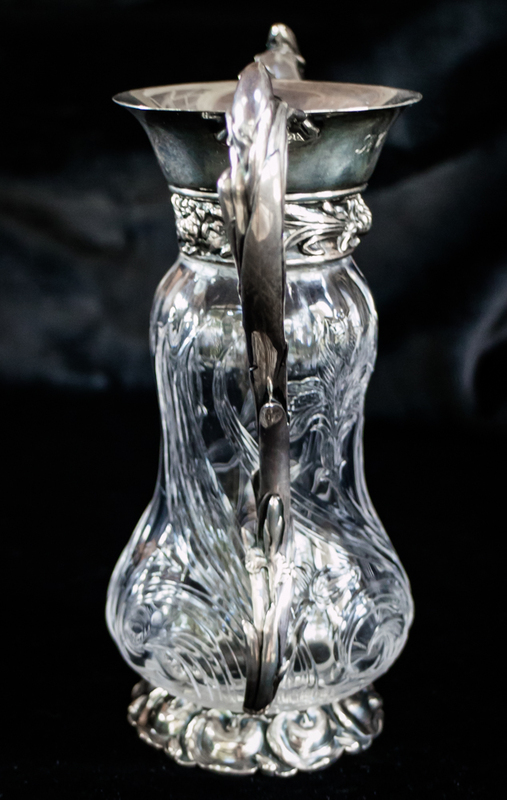 The silver really adds a touch of class to the piece with integrated handles, flowered rim, and embossed foot. 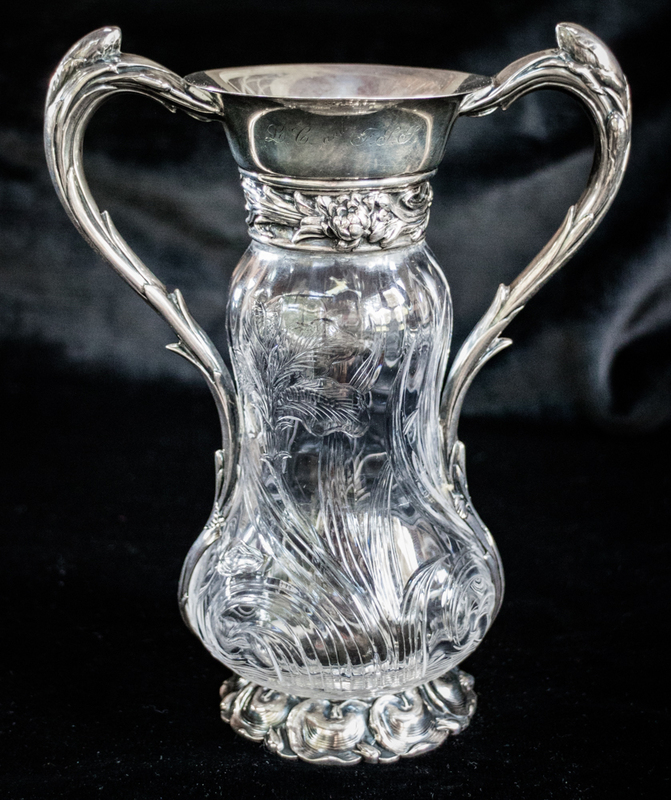 The vase is in perfect condition and measures 7″ tall.